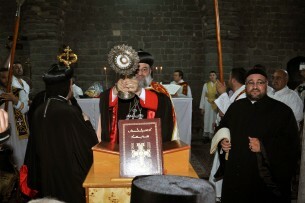 Homs, SANA – A ceremony was held Friday at Um az-Zinnar church (Saint Mary Church of the Holy Belt) in the Old City of Homs to return the venerated relic that is supposed to be a section of the belt of Virgin Mary, which the church contains, as well as its icon to the terrorism-stricken church. 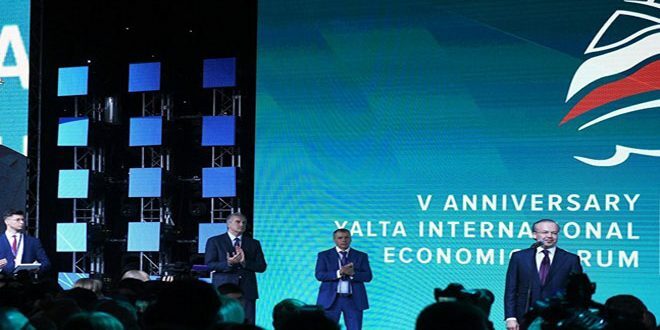 The ceremony was held in the presence of Patriarch Mar Ignatius Afram II of Antioch and All East, the Supreme Leader of Orthodox Syriac Church in the world. 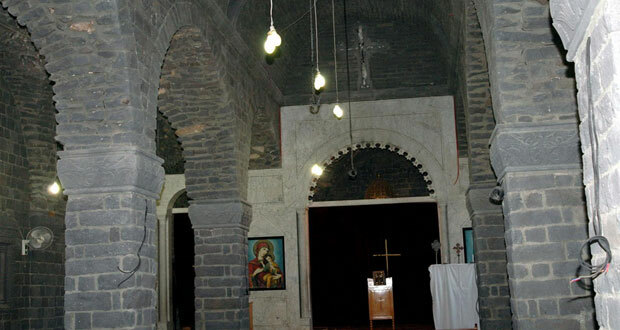 The landmark Um az-Zinnar Church sustained severe damage at the hands of terrorists who had ravaged the Old City before they were forced out by the army. 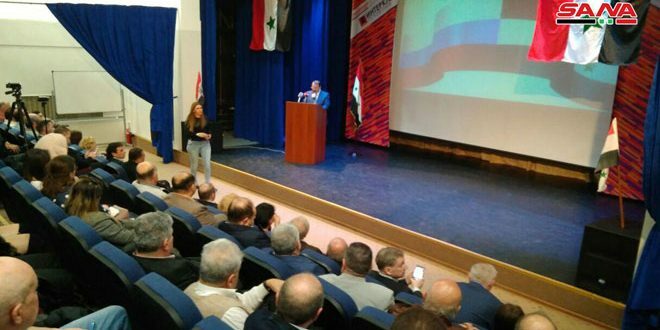 He also congratulated the Syrians for accomplishing the presidential elections and electing President Bashar al-Assad, calling upon expatriates and displaced persons to return to their homeland. 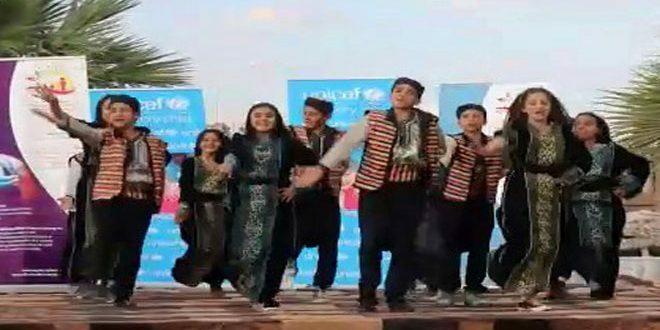 Al-Barazi said that about 40% of services in Homs’ old city has been restored and many schools will open for the coming school year. Greek Orthodox Patriarch John X Yazigi of Antioch and all East called for abandoning hatred and spreading amity among the peoples. 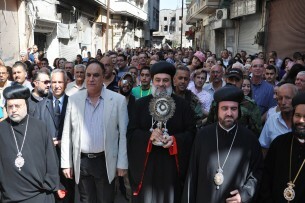 During a mass marking the Dormition of Virgin Mary held Friday at the Dormition Church of Virgin Mary at al-Sayeh Vally in Wadi al-Nadar area in Homs countryside, Patriarch Yazagi stressed the importance of coexistence and national unity among the Syrian people. He prayed to God to protect Syria’s leader President Bashar al-Assad, hoping that peace and amity will prevail once again in the country. In a relevant context, a joint prayer was held at Tibbet Hanna village in Talkalakh countryside. The participants prayed to god to protect Syria and restore security and stability to it. 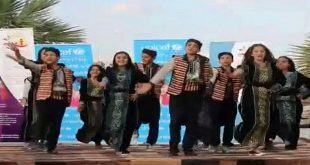 They stressed importance of coexistence and unity among different denominations in Syria which foiled the conspiracy against it. 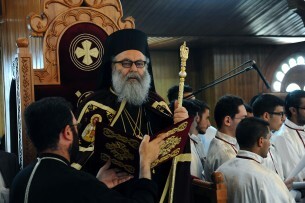 Meanwhile, a prayer was held at al-Zaytoun Church in Damascus to celebrate the occasion, which was led by Melkit Greek Catholic Patriarch of Antioch and all East Gregory III Laham. The Feast of the Dormition is celebrated on August 15 each year. It commemorates the repose of the Mother of Jesus Christ.